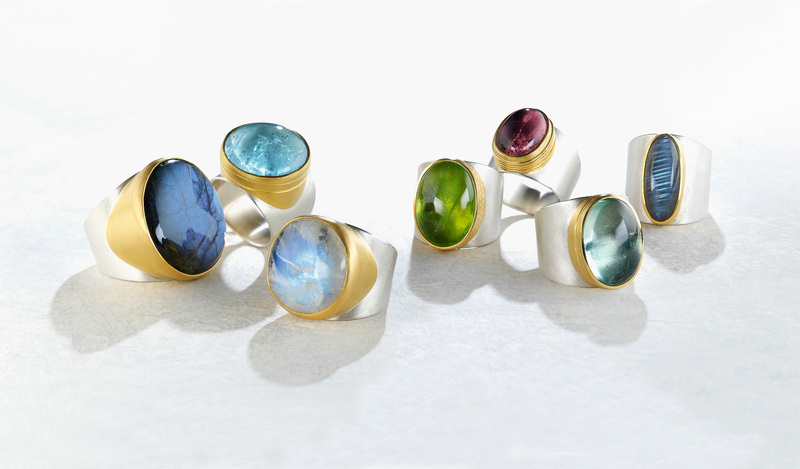 Hand-made rings. You may choose 925/000 sterling silver (photo) or 900/000 gold, stone settings in 900/000 gold. Color stones: Peridot, Labradorith, Tourmaline, Aquamarine.